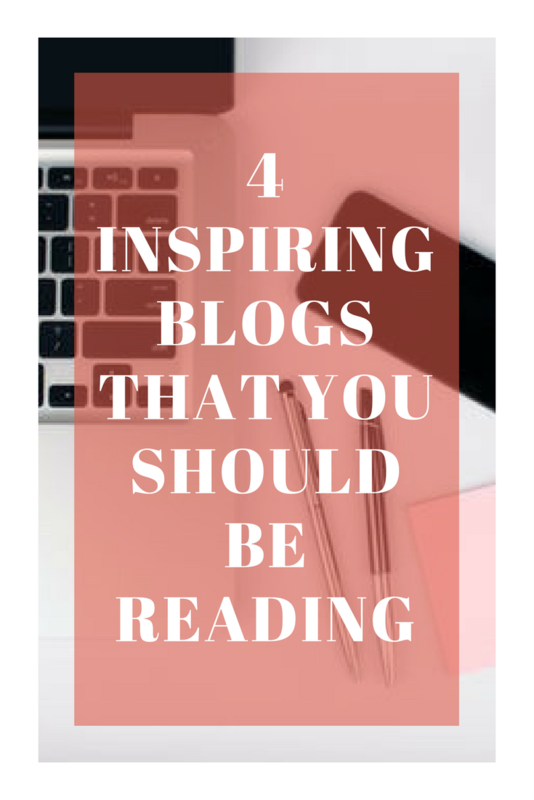 Today I want to share my favourite blogs with you that I read regularly, which are a great inspiration and of high quality. I am always looking for great blogs that I can discover because I love to read. But not only books or magazines, also blogs, because I like the aspect that bloggers are normal people who are sharing things they like and experienced. So in my opinion you can trust a blogpost about a experience or products much more than you can trust any other advertisment or magazine article. So here are some blogs that I read regular lately and totally like. Just click on the name of the blogs below to get there. MissGetaway: MissGetaway is an austrian blog, written by Kerstin who shares her travel stories, beauty and fashion posts, book recommodations, and much more. She also writes personal columns and stories about her thoughts, a little bit like a personal diary. MissGetaway seems to be such a honest and down-to-earth person and that´s why you can relate to her stories so much, because they are mostly out-of-life stories. I love the style of her pictures because they are unique, have a great statement and she often takes pictures in nature. Also her way of writing is amazing, because it feels like a story in a book when you read it. You should definitly have a look at her blog. Nilooorac: This blog is hosted by Carolin, she is a german blogger. Her blog consists of fashion, travel and beauty posts. She shares her personal outfits and describes how to style different fashion pieces, but also posts life updates and travel experiences. A great mix in my opinion. One blogpost that I absolutely enjoyed reading was her post about her stay in Brighton, because I have also already been there and she really shared wonderful shots. Find the Brighton post- here. Madmoisell: Something really different to the other blogs is Madmoisell. It is a do-it-yourself blog where a girl called Caro shares the tutorials to her many DIY´s. She really chooses the DIY´s carefully and you can see how much effort and love she puts into every little detail. Caro also owns a youtube channel where she shows how to do the DIY´s, so everyone can choose if he likes to read the instructions or to see them. She is such a lovely person, likes pink and is totally girly, which I do like a lot . You can find her youtube channel - here. The Ladies: The blog "theladies" is owned by three girls who live in Vienna: Alina, Nina and Marcia. These three have completely different characters who fit perfectly together. They write about their diversity and their experiences - so if they all test the same product, everyone tells about her own experience with it. Together they have a wonderful mix of different topics that they write about and I always enjoy reading their posts. There are mostly travel, beauty, fashion and food blogposts. A great blog with many passions, that you should definitly don´t miss to read. Each of these blogs is definitly recommendable to read, because they all have great content in their own and unique way, take fantastic pictures and are writing in a super sympathetic way. Do you have any blog favourites? Which blogs do you read regularly? Die anderen Blogs sind auch echt zu empfehlen.